Meshack is a single father of five living in Alendu. He once worked in the city of Kisumu as a tuk-tuk driver, a three wheeled taxi, and his wife owned a produce business. Today he is dressed professionally, and you might think he just left a meeting at Prince Street Cafe. That drastically changed in July of 2007, when his wife had a obstetrical hemorrhage while birthing their youngest daughter. Despite receiving care during delivery at a government hospital, she bled to death in Kisumu. Your own mother will probably tell you that hemorrhage is both common and easily treatable in the United States. Meshack’s eldest children, Esther and Nelly are fourth and second grade students at LightHouse Academy. Sleeping under a mosquito net, the two girls and their brother share a bed in a one-room mud hut with their father. Unable to care for his infant after the loss of his wife, Meshack’s sister-in-law has taken care of the two youngest children. 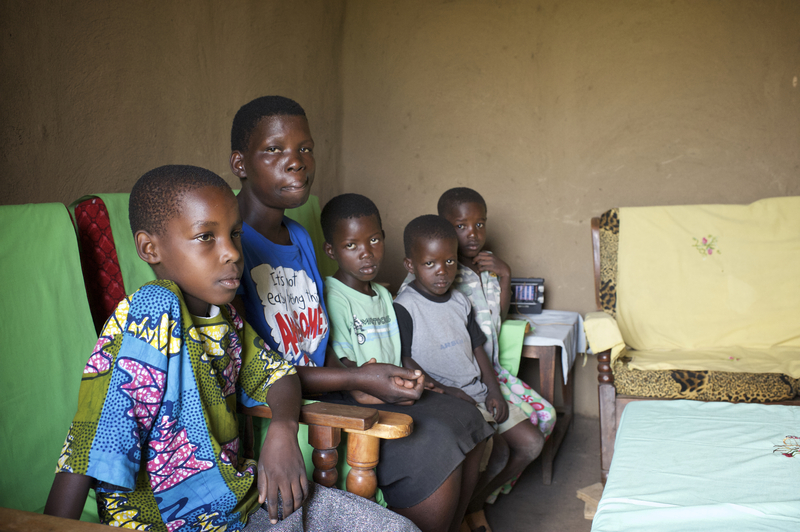 At age 7, Meshack’s fourth daughter had been charged with watching her baby sister instead of attending school. Meshack was building a second mud hut for all of children to live in, but ran out of money during construction. He has been praying to God for a means to provide for his family. Rafiki has been working with a donor to complete the project, adding a rainwater collection system and solar panels for lighting. Meshack’s story is by no means uncommon; there is much work for Rafiki. UPDATE on Meshack’s story here.